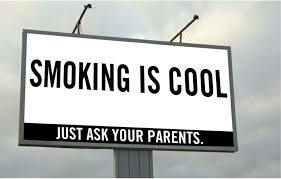 More often than not people start smoking at school because all their friends are doing it and it is “cool”. Probably the most unfortunate thing about this is that these symptoms often appear quite late in life, they usually become apparent from about the age of forty or so. The good news is that if you quit smoking the body can repair itself. The earlier that you stop smoking cigarettes the quicker your body will repair itself. Make the decision to quit smoking cigarettes and stop exposing yourself to the nasty effects of smoking. Next Social Smoking can Kill You!